A very interesting question came up at GCO on Saturday. A gentleman asked about the State of New York, it's resident and their feelings toward guns. Now, had this not been a spontaneous question and a topic I planned to discuss, I would have done more research, but in the heat of the moment, I answered the question based purely on my interactions with people I have met in New York over the past few years. 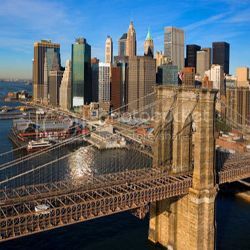 It should be noted that I have a great deal of personal contact with a small group of people who live in New York City, as well as limited personal contact with an even smaller group of people living in the rest of the state. These groups are by no means a scientific sample, especially because, as I get more involved in the gun world, my contact with non-gun folks diminishes. I started by speaking the first thing that came to mind, not usually the smartest plan. This thought was that those interested in learning about guns in New York, are some what S.O.L. They can't try out shooting pistols, until after they've bought one. This makes it a tough hobby to pick up, and a timely, expensive proposition to which to commit. 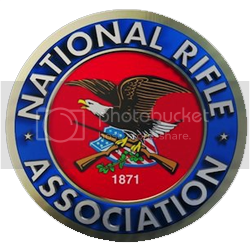 I further added, only because it was actually said to me by an activist who lives in the state, that the Second Amendment soldiers, who are flighting for their constitutional rights in NY, feel forgotten and/or dismissed by those of us living with more gun freedom, in other states. Oh the woes of being a gun owner in NYS. pick a gun without knowing what it’d be like to shoot at the range. If for some reason you are not approved then you’d need to pay the restocking fee, nice right? It is a pain to obtain a pistol license even in “Upstate”, I think those of you living in pro-gun states don’t quite realize what we have to go through and I only say that so that you can really appreciate what you do have not because I'm mad at you. Each county is a little different and I’m sure NYC is an absolute nightmare but I can tell you that it took me 16 months from start to finish getting my pistol license in my county; I live about an hour north of Albany. That total timeframe was from the day I called to ask them to mail me the paperwork (which they did do immediately), to waiting months to get into the required class, months to get in to hand in the paperwork and be fingerprinted because they only take so many appointments each day, and then 4 more months for them to process. The process is much shorter for adding an additional pistol but it still takes about 10 days in my county. I’ve attended many rallies, different gun club meetings, political trainings and I haven’t really heard anyone say that they felt forgotten or dismissed by anyone except for our legislators. And let me tell you we will be remembering what they did at the polls! If anything I feel jealous of you and the liberty you enjoy, it must be so awesome! The people that I have talked to from out of state have told me to vote with my feet and would welcome us with open arms but for now I feel like I need to stay and fight. I feel this is our fight, not yours- We the people of NY must make our voices heard; we are the only ones who can change the way things are here. I'm not even sure what the people thinking "forgotten or dismissed" feel you should be doing exactly. Our state Senators and Assembly didn't care what we thought so I'm positive they would really care less about what an out-of-stater felt! The only thing that I think out of state people could possibly do is send donations to NYSRPA’s legal defense fund or to support the candidates that we (grassroots) are going to back in 2013 and 2014 elections. The problem is that we were betrayed not only by Democrats but Republicans so you couldn’t just send money to the republican party. What I hope is that all of the other states are watching what is going on here in NY and learning from this debacle and make sure that this does not happen where you live! We all need to stay abreast of what is happening on both our state and national levels so even if you live in a pro-gun state don’t let your guard down and think it can’t happen, get active and stay active no matter what state you live in! I think the best way to show what we as a state think of the NYSAFE Act and how we feel about guns is looking at this map of resolutions OPPOSING the NYSAFE Act. http://www.nysaferesolutions.com/ Some people will say that the resolutions are meaningless but I find them an inspiration to keep up the fight. It shows that people across the state are indeed in the fight, and that is a great thing. Thank you & well said! When I said you folks felt "forgotten", I meant that we should offer you as much emotional support as possible. I thought of the folks who hear that I'm from NYC and immediately say, "how could you ever live there!?!" And act as if any gun lovers should just up and leave NY. I find statements like those, unfair and dismissive of people like you, who work hard to keep your state free. Some of my posts shed a little light on what it's like to be a gun owner in NYC. Dana, you are 100% right. We are fighting everyday to keep what little we have. What I wouldn't give to be able to walk into a Walmart and say, "I want that one" and walk out. Especially now, as the 2013 Mayoral Race is taking place, not one word of any laws changing in NYC. Only candidates stating that they would like to continue the Bloomberg tyranny. Which is pretty much expected, but even still, they intend on making it worse. And to be honest, I don't know how much worse they could possibly make it.